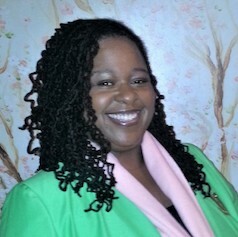 The women of Alpha Kappa Alpha Sorority, Inc., Beta Chi Omega Chapter welcome you to our website! It is our honor to serve the Roanoke Valley community. Since the day of our charter December 3, 1938, Beta Chi Omega has sustained its legacy and grown steadily by adhering to our national programs and constantly formulating local programs and services. 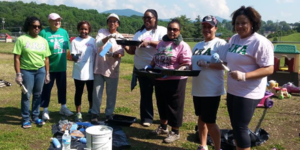 Our vision is to be “a leader in service by implementing our national programs to empower our members, the Roanoke Valley, and surrounding areas through cooperation with other organizations within the Valley that are moving toward the same goals”. We move into 2019 carrying forth our vision and national program initiative – Exemplifying Excellence Through Sustainable Service. 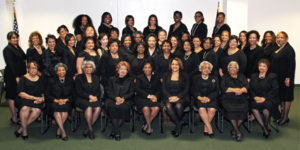 We stand firm in our bond and lifelong commitment to Alpha Kappa Alpha Sorority, Inc. 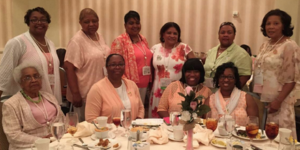 In our continuous pursuit of excellence in “Service to All Mankind” with loyal hearts, enthusiastic minds, and Spirits of love and kindness we encourage you to engage in Beta Chi Omega activities and programs. [Site last updated on April 2019.] This website is best viewed on Internet Explorer 6+, Firefox, Safari, Opera, and Chrome.